IT security, technology, threat intelligence. Emilio Casbas: El sitio no permite desenmascaramiento automatico, ¿quizá un WAF o bloqueado? El sitio no permite desenmascaramiento automatico, ¿quizá un WAF o bloqueado? The English translation for the title of this blog article would be something like: The site does not allow automatic unmasking due to either a WAF or being banned. With the new Anti-counterfeiting features in order to spot fake websites, I came across some websites which the service was not able to analyze because the HTTP response coming from the scaned website returned a 403 code. As the desenmascara.me service browse any website just as a normal user would do, there is no reason to block it and not way to discover through the logs that a website is being analyzed by desenmascara.me. The only way to discover it would be through the IP of the service. which is pretty similar to the original message but now with a link pointing to this blog article to let you know I am aware of this issue. 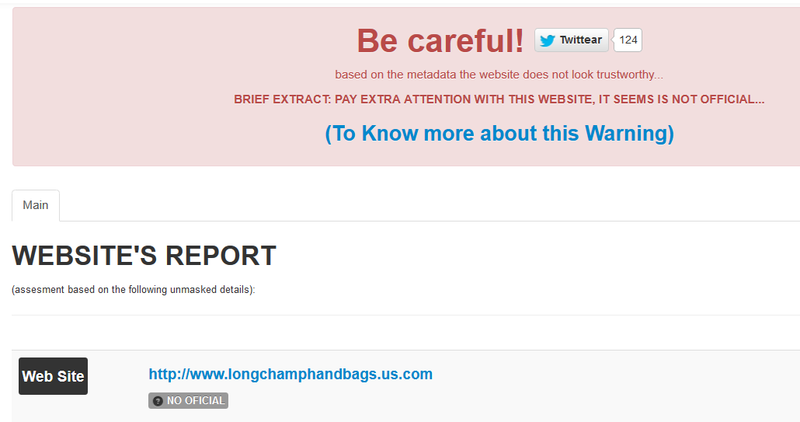 We are unable to analyze a website such as: hxxp://www.longchamphandbags.us.com and as a result we get the above picture. 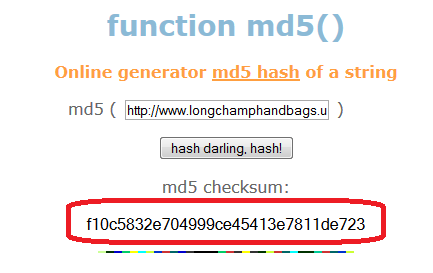 We copy the resulting MD5 hash which is in red. 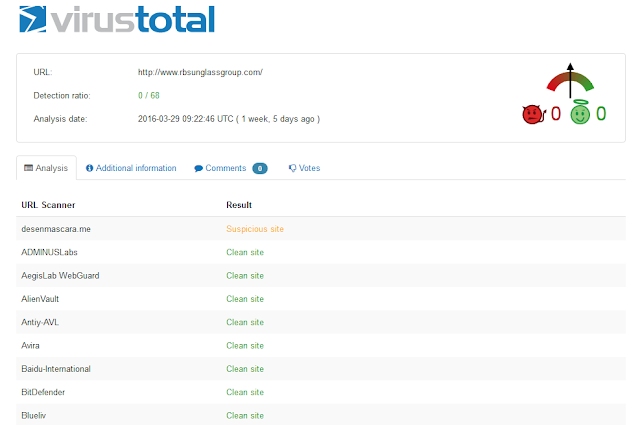 Then by just clicking on the desenmascara.me URL we will have access to the report. In some occassions by trying to use the second temporary approach you may receive an application error, this might be due to the website has not been analyzed yet. For any doubt you can either contact me or comment on this blog article. Could you please tell me if this website is reliable for online shoping?